All in one filtered sink mixer taps are becoming a more sought after tap as it reduces the need for two taps at the sink. Known as a 3 way filtered tap or filtered sink mixer, there aren’t a lot of tap manufacturers that offer this style of tap. There is a limited choice for design and colour, with most options offering chrome. The all in one filtered sink mixer has three water inlets – hot, cold and filtered water. They combine filtered water and unfiltered water in the one mixer. The mixers will have dual chambers on the inside so there is no cross contamination between the tap water and filtered water. I was recently asked by a friend who wanted to have this style of mixer installed, if I knew of any other tap finishes. I had never heard of the mixer she wanted to have installed, but I have included it as part of this post because it does have watermark approval and offers a stainless look if chrome is not your preferred finish. These mixers are a great option to reduce multiple holes through the benchtop or sink mount, and are ideal for one sink applications. 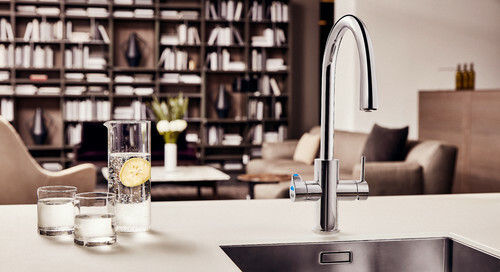 I haven’t personally installed this type of tap because it’s fairly new in design and many opt to have a filtered water solution through their fridge. I personally have the old Zip Hydrotap option which has worked fine for me. I don’t mind having two taps at the sink. 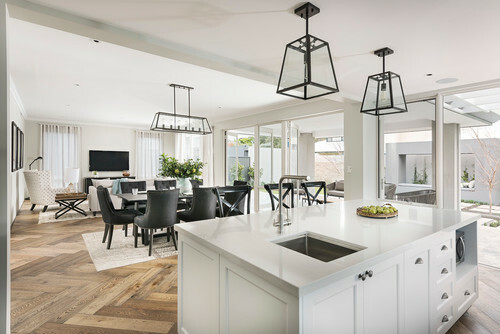 When purchasing an all in one filtered mixer tap, check what connections are included. Usually the water filters will be an additional cost. If you’re after an all in one boiling, chill water mixer, Zip is the way to go, although they are a big investment. Zip offer a range of finishes with their taps and you have the added benefit of never having to boil a kettle to make yourself a cuppa. If budget is an issue, an all in one filtered sink mixer tap will be the most cost effective solution. Always buy from a reputable plumbing company so that filters and spare parts can be sought if needed. A licensed plumber should install your mixer. Most of the mixers have a 6 year plus warranty and this can be voided if a plumber isn’t used to install the tap. Have you got an all in one filtered sink mixer tap? Or do you prefer having two taps at the kitchen sink? Previous articleEmpowering Women to Use Power Tools: What Have You Been Told You Can’t Do?